The Durham Bulls had yesterday off, so I thought this might be a good time for Bulls fans to take a look at the parent club. Six players who started the year with the Bulls are with the Rays now, so we have an interest in them. They include Matt Andriese, Blake Snell, and Tyler Sturdevant among the pitchers (Ryan Garton just got sent back); and Taylor Motter, Jaff Decker, and Mikie Mahtook among the position players (Nick Franklin just came back). How are the Rays doing? The Tampa Bay Rays are tied with the New York Yankees for last place in the American League East. The last couple of weeks show an upward trend. 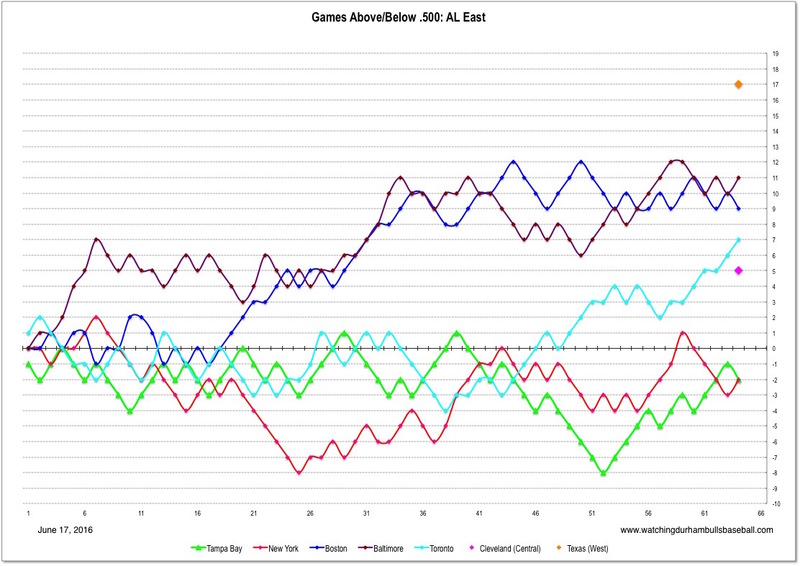 Similarly, the last couple of weeks saw an improvment in the run differentials. 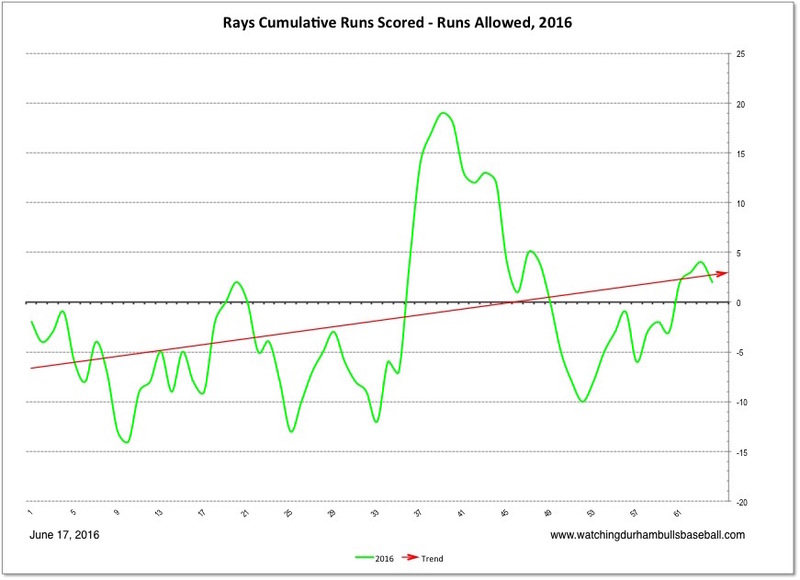 The Rays remain a couple of games below their Pythagorean Expectation, which implies trouble on the pitching side. 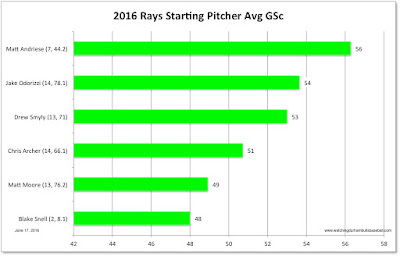 The Rays great strength has always been their starting pitching (frequently ex-Bulls). Not so much this year. 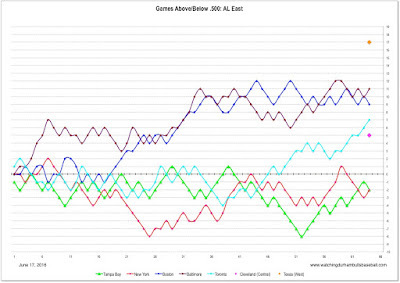 This chart shows the average Game Score for their starters. Note the numbers after players name are (starts, innings). 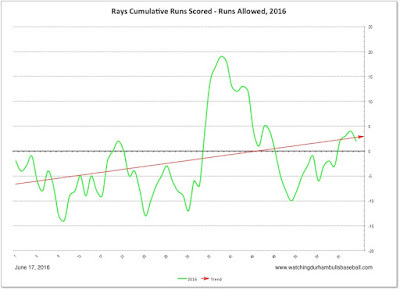 Since 50 is the target for this metric it’s obvious that the Rays are just barely getting by. Matt Adriese is being moved to the bullpen, at least for the short term, while Blake Snell has just had the two games. 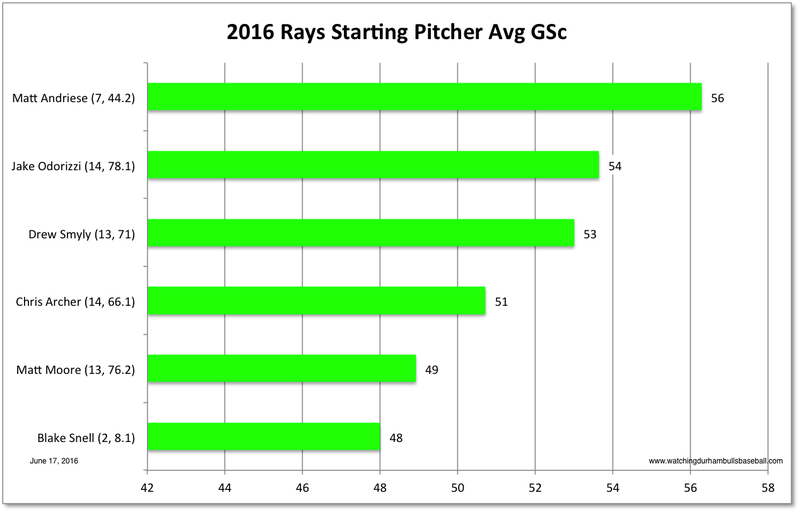 Chris Archer and Matt Moore are not doing well at all.